This remarkable new book from photographer and writer team Barnabas and Anabel Kindersley captures the color and vibrancy of international children''s festivals. 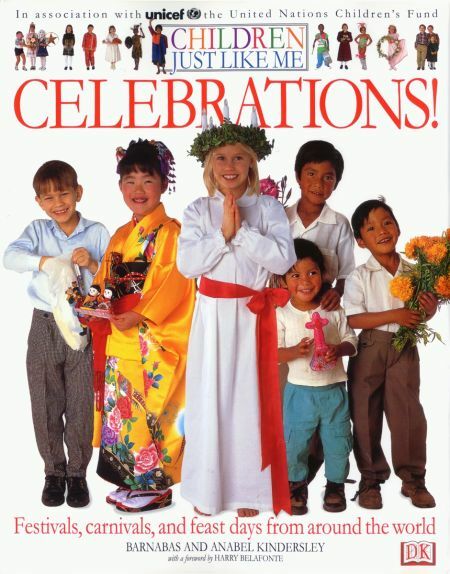 For 12 months Barnabas and Anabel have traveled around the world, meeting children and talking to them about the celebrations and festivals they enjoy.The children''s stories are recorded in this beautiful book, which is published in association with the United Nations Children''s Fund (UNICEF). Original photography and the children''s own words bring to life many of the world''s major religious and local celebrations from countries as far apart as Japan and Mexico, India, and Sweden.From the dazzling costumes of the Rio Carnival to the role of the elephants in Sri Lanka''s Esal Perahera, children everywhere will love learning about the festivals and the wonderfulways that these events are celebrated around the world.